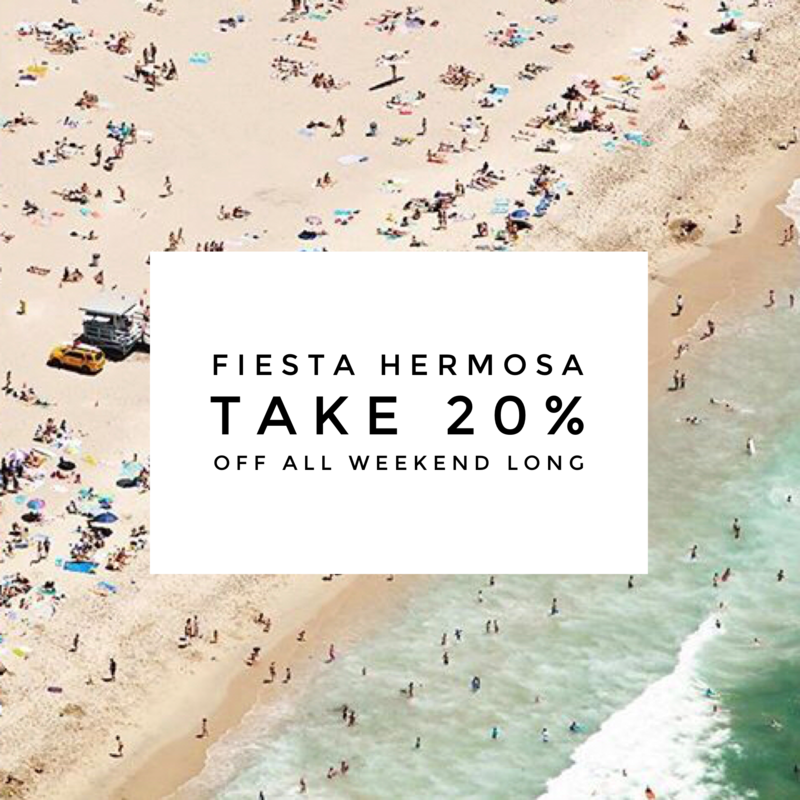 Fiesta Hermosa…take 20% off everything! Take 20% off all purchases, but please note, discount is only available in Hermosa! Ride your bike down, hear some music, visit the charity beer garden, browse through the new local artist section, take the kids to the petting zoo, and shop with us! We’ll have a sale table outside too, with lots of goodies at 50% off.